Aquamarine Dockbuilders is a full service marine construction company. Since 1978, we have been building timber piers, bulkheads, and sand catchers. We also specialize in timber boardwalks and beach stairs. Aquamarine has a full service mooring division and a barge and crane capable of installing any size mooring in the harbors of Martha's Vineyard. Among other jobs, we have constructed the commercial facilities at Edgartown Marine and the Martha's Vineyard Shipyard. We have built the highline pier for the Hyannis Ferry in Oak Bluffs. 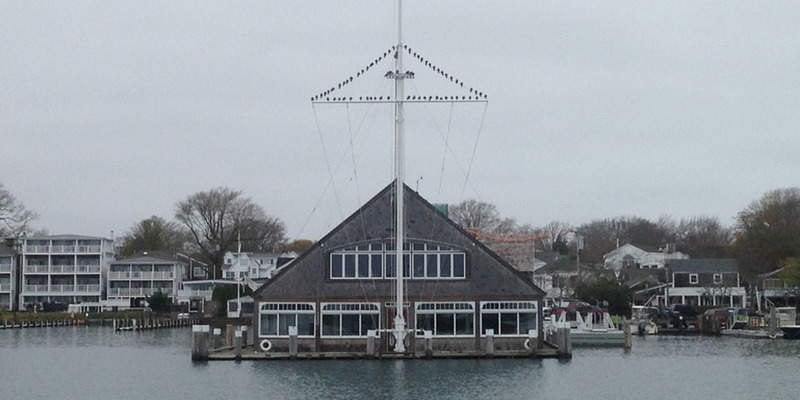 We have also built the original Owen Park pier and the Vineyard Haven Yacht Club pier. Besides these larger commercial jobs, Aquamarine has also built or worked on the majority of the private timber piers on the island. We look forward to servicing your waterfront and boating needs.